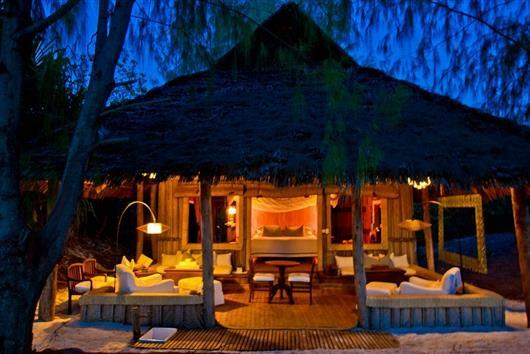 Mnemba Island Lodge is situated on the beautiful private island of Mnemba off the north–eastern tip of Zanzibar. The island is 1.5 km in circumference and is surrounded by an Indian Ocean coral reef. 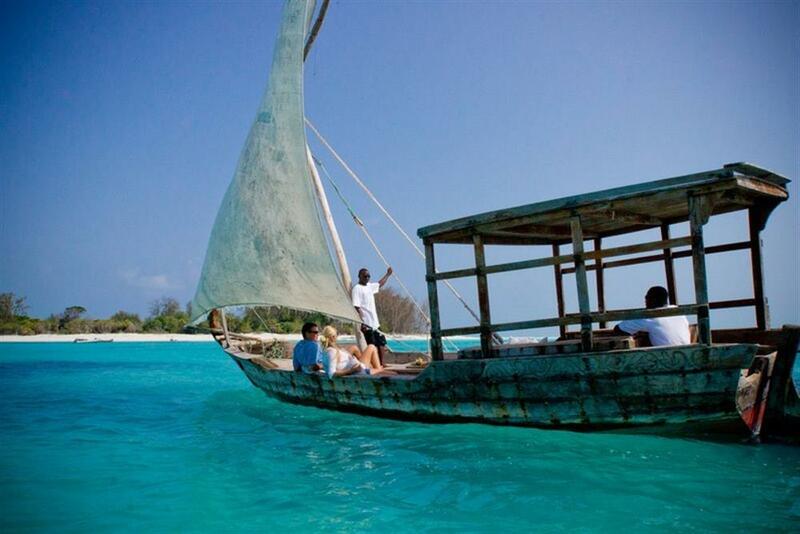 Mnemba Island forms part of an atoll, which has been declared a marine conservation area. Accommodation consists of 10 Zanzibari bandas (cottages), with direct access to the beach. Each banda is built of indigenous materials, mostly woven and thatched with palm leaves. The bandas have en suite bathrooms with shower, double-basins, separate toilet, fresh water (obtained from a desalination plant), ceiling fans, personal bar and a spacious outdoor veranda. 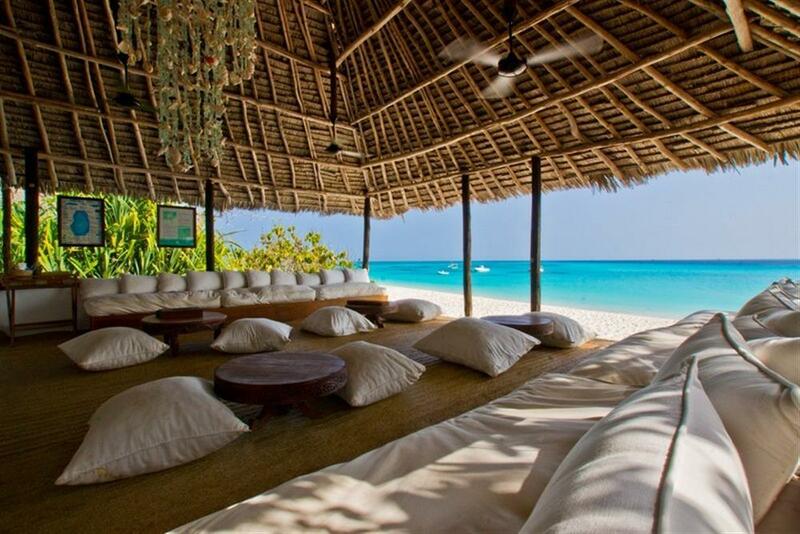 Each banda also has a private beach sala with traditional Zanzibari sun beds. A wide range of activities allows guests the best possible opportunity to enjoy the protected coral reefs that Mnemba Island offers. Giant turtles, ghost crabs and incredible tropical fish are some of the spectacular underwater marvels available for viewing. 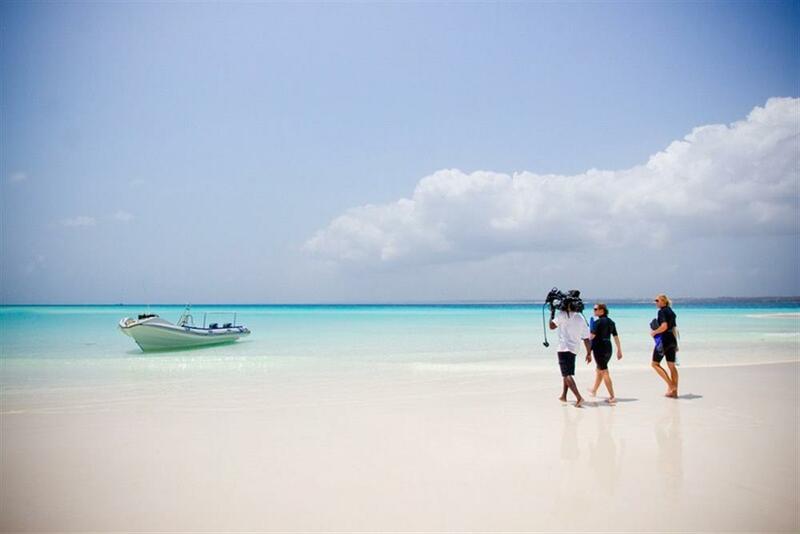 Activities at Mnemba Island Lodge include scuba diving (2 per day), snorkelling, kayaking, swimming, windsurfing and fly–fishing. Guests can also see firsthand how green turtles lay their eggs on the idyllic private island. Green turtle-laying season is year-round with a seasonal peak in February and March.